*Use constituting disposal includes application to or placement on the land, and use in the production of (or incorporation in) products that are applied to or placed on the land. Exceptions are made for materials that are applied to the land in ordinary use. tEnergy recovery fuel includes direct burning, use in producing a fuel, and incorporation in a fuel. However, selected commercial chemical products are not solid wastes if their common use is fuel. ^Reclamation includes materials processed to recover useable products, or regenerated. Examples are recovery of lead from old automobile batteries or used wheel weights and regeneration of spent catalysts or spent solvents. §Speculative accumulation refers to materials accumulated before the precise mechanism for recycle is known. This designation can be avoided if: the material is potentially recyclable; a feasible means for recycle is available; and during each calendar year the amount of material recycled or transferred to another site for recycling equals at least 75% of the material accumulated at the beginning of the period. FIG. 11.1.1 Definition of a solid waste. Hazardous Wastes From Specific Sources, Acute Hazardous Wastes, or Toxic Wastes. 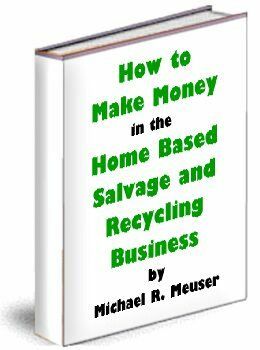 The waste is a mixture of a listed hazardous waste and a nonhazardous waste. The waste is declared hazardous by the generator of the waste. This is true even if the waste is not hazardous by any other definition and was declared hazardous in error. The environmental engineer is referred to Section 261.3 of the RCRA regulations (40 CFR §261.3) for more information on exceptions to these criteria. A hazardous waste must be a solid waste and thus may be in the form of a solid, semisolid, liquid, or contained gas. The EPA developed listed wastes by examining different types of wastes and chemical products to see if they exhibited one of the characteristics of a hazardous waste, then determining whether these met the statutory definition of hazardous waste, were acutely toxic or acutely hazardous, or were otherwise toxic. The following series letters denote the origins of such wastes. Other monly produced by manufacturing and industrial processes. K Series is composed of hazardous waste from specific sources (e.g., brine purification muds from the mercury cell process in chlorine production where separated, purified brine is not used and API separator sludges). These are wastes from specifically identified industries, such as wood preserving, petroleum refining and organic chemical manufacturing. P Series denotes acutely hazardous waste of specific commercial chemical products (e.g., potassium silver cyanide, toxaphene, or arsenic oxide) including discarded and off-specification products, containers, and spill residuals. U Series includes toxic hazardous wastes that are chemical products, (e.g., xylene, DDT, and carbon tetrachloride) including discarded products, off-specification products, containers, and spill residuals. Acute hazardous wastes are defined as fatal to humans in low doses, or capable of causing or contributing to serious irreversible, or incapacitating reversible illness. They are subject to more rigorous controls than other listed hazardous wastes. Toxic hazardous wastes are defined as containing chemicals posing substantial hazards to human health or the environment when improperly treated, stored, transported, or disposed of. Scientific studies show that they have toxic, carcinogenic, mutagenic, or teratogenic effects on humans or other life forms. 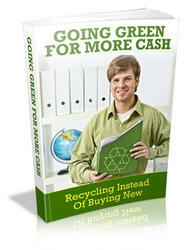 After a waste is labeled hazardous, it generally remains a hazardous waste forever. Some characteristic hazardous wastes may be declared no longer hazardous if they cease to exhibit any characteristics of a hazardous waste. However, wastes that exhibit a characteristic at the point of generation may still be considered hazardous even if they no longer exhibit the characteristic at the point of land disposal. 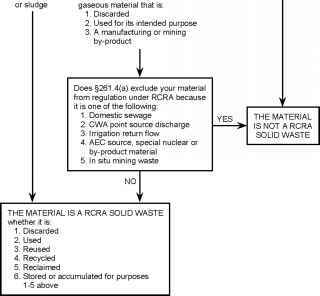 Figures 11.1.2 and 11.1.3 summarize the process used to determine whether a solid waste is a hazardous waste and whether it is subject to special provisions for certain hazardous wastes.